Hungarian born, Andras Palerdi is a graduate of the HUNGARIAN MUSIC ACADEMY FERENC LISZT, of the UNIVERSITY OF SOUTHERN MISSISSIPPI and of the MUSIC UNIVERSITY OF VIENNA and has been a recipient of the HERBERT VON KARAJAN STIPENDIUM awarded by the VIENNA STAATSOPER. He holds the position of Permanent Guest at the HUNGARIAN STATE OPERA in Budapest. He made his operatic debut in the title role of Boito’s MEFISTOFELE for the SZEGED NATIONAL THEATRE in Hungary, has since gone on to sing the role for THEATER LUBECK in Germany during 2011, and has made other international appearances including singing The Duke Of Verona in ROMEO & JULIET for OPERA COLORADO, The Grand Inquisitor in DON CARLOS at the 2011 SAVONLINNA OPERA FESTIVAL and the title role of BLUEBEARD’S CASTLE in performances conducted by Seijei Ozawa at the MAGGIO MUSICALE in Florence in 2013, a role he has also sung for OPERA THEATRE SAINT-ETIENNE in France. It is in his position as permanent guest artist of the HUNGARIAN STATE OPERA which has, during recent seasons, seen him appear in the most extensive range of operatic roles, since 2012 being engaged to sing Filippo II in DON CARLOS, Zaccaria in NABUCCO, Ferrando in IL TROVATORE, Ramfis in AIDA, Colline in LA BOHEME, Basilio in THE BARBER OF SEVILLE, both Leporello and Il Commendatore in DON GIOVANNI, Sarastro in THE MAGIC FLUTE, Figaro and also Bartolo in THE MARRIAGE OF FIGARO. Alidoro in LA CENERENTOLA, Gurnemanz in PARSIFAL, Daland in THE FLYING DUTCHMAN, Caspar in DER FREISCHUTZ, and Trulove in Stravinsky’s THE RAKE’S PROGRESS. He appeared as Tiresias in Stravinsky’s OEDIPUS REX ,conducted by Muhai Tang and Domonkos Heja, in the HUNGARIAN STATE OPERA‘s tour of China and appeared as King Pomade in the company’s filmed production of Gyorki Ranki’s THE KING’S NEW CLOTHES. He was also engaged, during 2013, to appear as Oroveso in the company’s concert performances of Bellini’s NORMA. Other recent performances include Fernando in Beethoven’s FIDELIO and Ramfis in AIDA both roles at the DORSET OPERA FESTIVAL in the UK. On the concert stage, Andras Palerdi, has appeared in performances of Bach’s MAGNIFICAT and Mozart’s REQUIEM at CARNEGIE HALL, in concert performances of BLUEBEARD’s CASTLE at SANTORY HALL in Tokyo, and with conductor, Jukka-Pekka Saraste in Finland and regularly in such works as Brahms’ EIN DEUTSCHES REQUIEM, Haydn’s NELSON MASS, Mozart’s CORONATION MASS, Beethoven’s SYMPHONY NO.9 and Verdi’s REQUIEM. During 2013 he gave performances of Bach’s EASTER ORATORIO and Bartok’s HUNGARIAN FOLK SONGS with the HUNGARIAN NATIONAL PHILHARMONIC ORCHESTRA in Budapest. In the HUNGARIAN STATE OPERA‘s 2015/2016 season, amongst other roles, he returns to the roles of Filippo II in DON CARLOS and Ferrando in IL TROVATORE and appears as the Earl Of Gloucester in Aribert’s LEAR and as Gonzalo in Adés THE TEMPEST. Andras Palerdi‘s 2016/17 season at the HUNGARIAN STATE OPERA included appearances as Figaro in THE MARRIAGE OF FIGARO, Sarastro in THE MAGIC FLUTE, Ramfis in AIDA, Zaccaria in NABUCCO, Colline in LA BOHEME and further performances of Ferrando in IL TROVATORE and Porgy in PORGY & BESS. 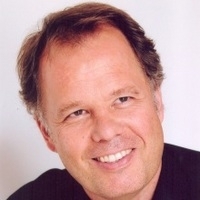 During 2018 at the HUNGARIAN STATE OPERA he returns as Sarastro and sings Gurnemanz in PARSIFAL, Jacopo Fiesco in SIMON BOCCANEGRA, the role of Repela in Hugo Wolf’s DER CORREGIDOR, Don Alfonso in COSI FAN TUTTE and also returns to the title role in BLUEBEARDS CASTLE, conducted by Peter Eötvös and directed by Kaspar Holton.